(1) Necessarily, if a human person is offered and receives the transformative gift, then this is the result of the authoritative power of the divine X of thoroughgoing forgiveness, fellowship in perfect love, worthiness of worship, and triumphant hope (namely, God). (2) I have been offered, and have willingly received, the transformative gift. Revelation of the divine, according to Moser, would be appropriate to the kind of being God is. Consequentially, God would reveal himself “in human hearts rather than just to expand human reflection or information” (26). Moser calls this kind of theology, “kardiatheology,” a theology of the heart. Moser's question is: given God's perfectly loving nature, how would he make himself known to us? The answer, Moser contends, is in divine-human relationship, a transformative human reception that produces a personification of evidence for the reality of God. If a human being can be seen to be transformed by God, they will be an evidence for others of divine reality. Such evidence would be invitational, calling for others to enter such a relationship themselves; it would be authoritative, from a God who is revealed as “inherently morally perfect,” and it would be worthy of “human love trust, and obedience” (37). Evidence counts when it is non-circular, allowing for at least some evidence to stand unsupported by further grounds. This might be unsatisfactory for skeptics, but, he argues, is more of a problem for the skeptic who must bear the burden for his universal negation. What blocks such evidence? Moser argues that human sin, “anchored... in a morally responsible human will against God – specifically a human will against, or at least out of cooperation with, God's perfectly loving will” (195), is responsible for the non-reception of such evidence. Knowledge of God, then, is “suitably salvific” in that it provides “the needed powerful but non-coercive rescue from human selfishness and destruction” (195). Such knowledge of God fits Moser's idea of a kardiatheology in that knowledge of God includes a transformation of a sinful heart. “A perfectly loving God... would offer an authoritative challenge to have divine unselfish love empower and guide their lives” (204). Such a knowledge of God is not primarily propositional, argues Moser; it is “filial.” Filial knowledge is defined by a “volitional submissive relationship to God as perfectly authoritative and loving Lord and Father” (210). Such knowledge leads to the evidencing of “fruit,” not merely subjective phenomena, but of the agent's agape love for others. Clearly, there is no logically or conceptual necessary connection between empirical science and the ontological basis for real things... If someone knows that ontological naturalism is true, then that person has the basis for the knowledge that traditional monotheism is false... I am unaware of anyone's having such a basis, and therefore I find ontological naturalism to be doubtful at best (72-73). Moser concludes that scientism is self-defeating since it cannot justify its core claim to monopolistic interpretation of reality on its own grounds. Moser objects to fideism, the view that belief in God does not depend on well-grounded evidence, because it suggests one should accept a contradiction; it also overemphasizes human choice and, by implication, denies the kind of purposive evidence Moser wishes to draw our attention to. Faith, for Moser, is not an internal embrace of contradiction or absurdity, but “obedient entrustment of one's heart to God” (107). Consequently, faith is not an existential leap to overcome irrationality, but a form of obedience taken because of the purposive evidence found in the lives of those who obey. Human response to evidence of God is, “a response to an experienced intervention rather than a blind leap” (110). Finally, Moser objects to natural theology. Moser's criticism is that natural theology, arguments for God's existence based on natural knowledge without appeal to special revelation, cannot provide evidence for “a divine call to humans that includes human de re confrontation with a living perfect will” (158). Consequently, such evidence is mere spectator evidence and is “irrelevant at best and misleading at worst” (160). 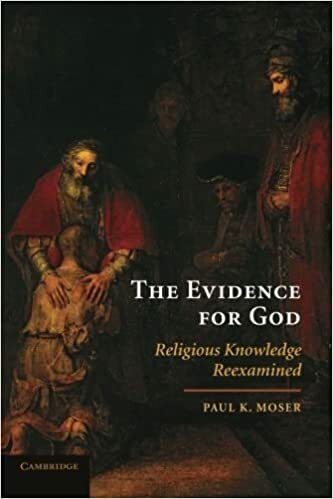 Since natural theology seeks to argue for the existence of God inferentially and discursively it cannot offer an “inherently purposive” (174) and authoritative call type evidence that Moser is seeking to advance. I find some of Moser's argument compelling. For example, Moser is right to insist that “we cannot separate God's reality from God's perfectly loving personal character that defines God's reality” (201). Moser refuses to let the that be separated from the what or, more correctly, who of God's existence: “It is not simply de dicto, because it has an irreducible de re component, given that it is faith in God” (105). Moser also points out that it is sin which blocks salvific knowledge of God: “Our dubious presumption is that God must be revealed on our preferred cognitive terms, as if our own boldly appointed terms were cognitively above reproach. This amounts to a kind of cognitive idolatry whereby we replace God's cognitive authority with our own” (115). If God is a perfectly loving being then, Moser argues, we would expect him to bring down such cognitive idols. Moser criticizes the Calvinist position, that some are chosen by God for such a relationship with him while others are not. This view, says Moser, should be dismissed on the grounds that such a God, one who predetermines human salvation, is not worthy of worship since such a God is morally deficient for not acting equally to all people. However, I think it might have behooved Moser to take up the Calvinist position as supporting evidence for his claim. Within the Calvinist tradition there is much to be mined about the idea of knowledge of God being personally instantiated in the church. There is also much to be said by Calvinists in support of the idea that humankind sets his criteria as a cognitive idol. 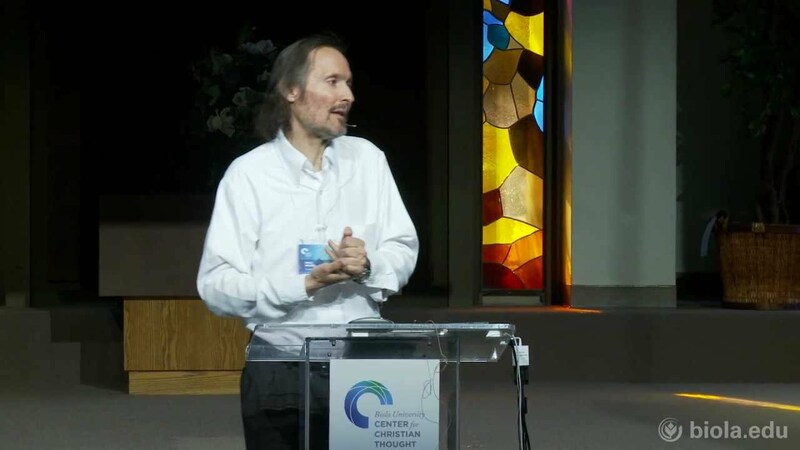 In Moser's chapter on fideism, he includes a criticism of Plantinga's view of warrant for Christian belief, something he calls “argument-indifferent fideism.” Commenting on Plantinga's view that arguments for the truth of Christian theism have little chance of convincing those who don't already accept their conclusions, Moser claims that such a view is tantamount to fideism, a belief in something whether or not the evidence points to it. Moser provides reflection on his own version of evidentialism as a “moderate form” which allows for a belief to be justified by a supporting evidence appropriate to what is believed in. Moser criticizes Plantinga's view that certain commitments about the world, such as naturalism, cannot give rise to knowledge. Moser argues that even if one is committed to naturalism or agnosticism, one can form a true belief if it is based on evidence unacceptable to defeaters. However, what Plantinga is arguing here is not that one cannot know anything if one is committed to naturalism or agnosticism, but that given those commitments, knowledge should not be possible. The fact that it is possible to know something gives rise to doubts over the truth of naturalism or agnosticism. Perhaps Moser has in mind another criticism of Plantinga's view. It might be said that the above argument offered by Plantinga counts as an argument for the existence of God, albeit a negative one. A more generous reading of Plantinga might have allowed for Plantinga's negative comment about arguments for the existence of God to be about certain kinds of arguments since Plantinga seems to offer lengthy arguments for warranted Christian beliefs.